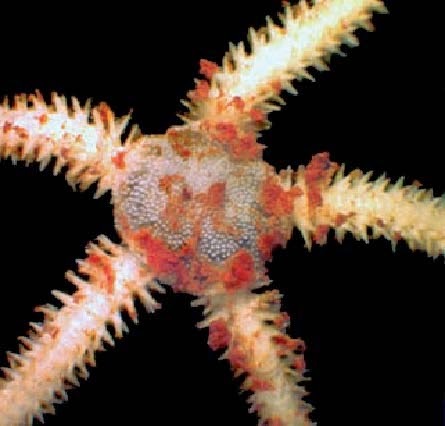 The Echinoblog: Brittle Stars are EVERYWHERE: 5 EXTREME Ophiuroid Habitats! 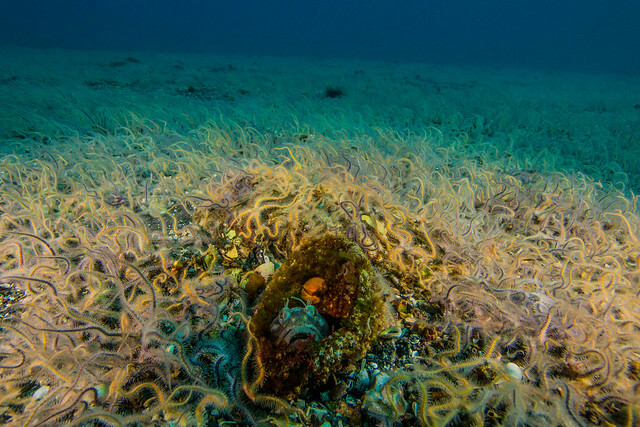 Brittle Stars are EVERYWHERE: 5 EXTREME Ophiuroid Habitats! The truth is that they live frakkin' EVERYWHERE. The diversification of brittle stars is thought to have been successful mainly because they've found a niche just about anywhere and everywhere they can! They live in all the nooks and crannies on the marine bottoms: buried in sediment, rocks, sponges, corals so on and so forth.. 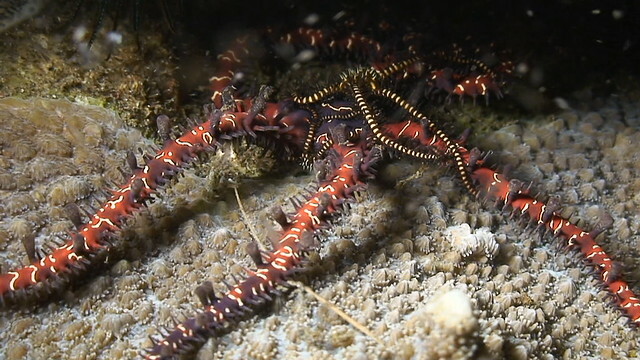 But brittle stars also manage to find some pretty crazy, unusual and just downright SURPRISING places to live. Are there ANY habitats which which they cannot exploit??? Ophiuroids GO where other Echinoderms fear to tread! 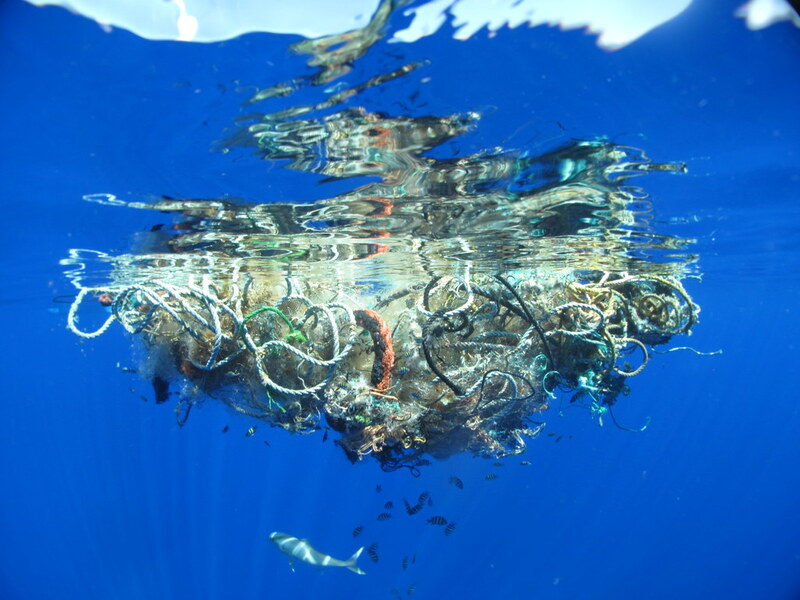 Although garbage/debris is created by humans, it may functionally serve as just another venue for brittle stars to practice rafting, which is one means for animals that don't swim as adults, to be dispersed widely via ocean currents. another great pic of this can be found over here! 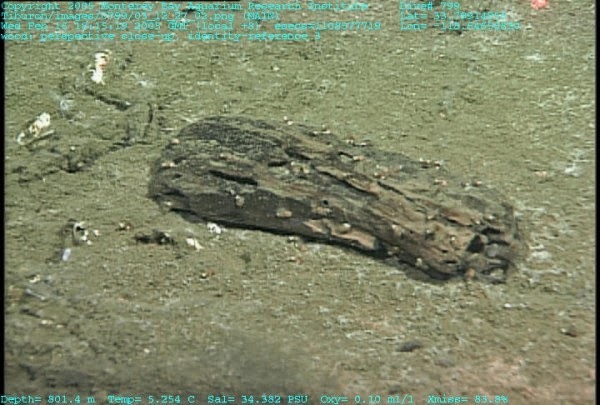 Here is ANOTHER place you generally don't expect to find echinoderms. Why? 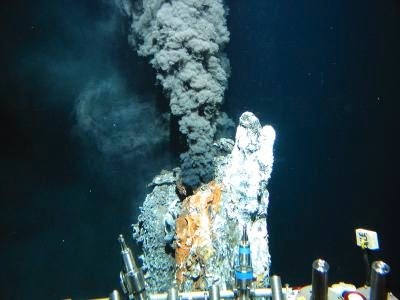 Because most of the environment around hydrothermal vents is not just, very, VERY hot but also filled with toxic chemicals, such as hydrogen sulfide. Given how sensitive most echinoderms are to having clean, seawater these factors probably exclude most other echinos from being present in these poisonous areas. 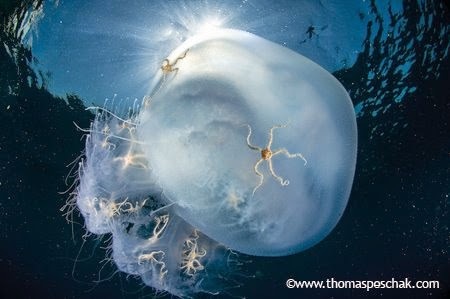 and YET somehow brittle stars have found a living here. Echinoderms are exclusively marine and they don't handle shifts in the amount of salinity in the water well. Some echinoderms, such as sea stars will often die from a significant drop in ocean salinity from say, a big rainstorm. Salinity in ocean water ranges about 30-50 ‰ (ppt) and freshwater is generally less than 0.5 ‰ (ppt). A lot of sea stars, for example start to get unhappy when you drop below 30ish ‰ (ppt). But some brittle stars? 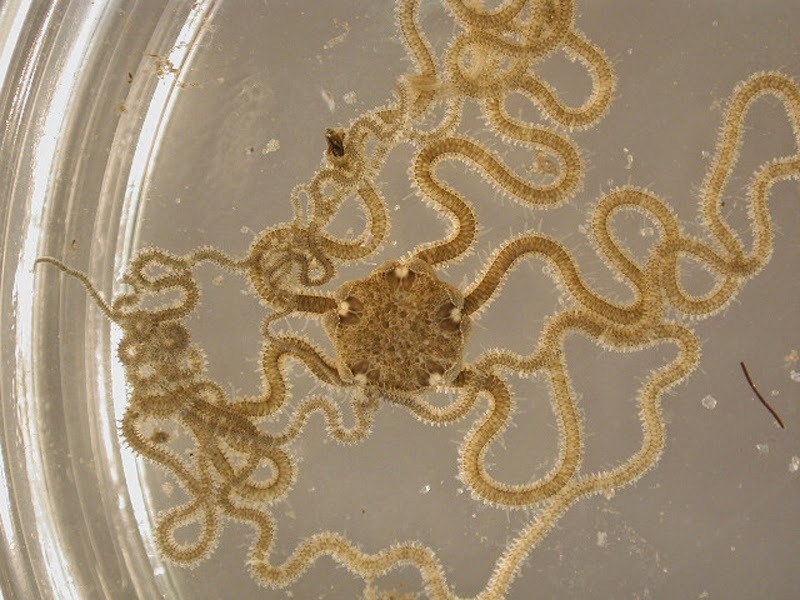 Brittle stars are probably the toughest of the echinoderms with some species, such as the above Ophiophragmus filograneus (Amphiuridae) can withstand up to 7.7 ‰ (or ppt-parts per thousand). Another species in the Amphiuridae, Amphipholis squamata has been recorded as withstanding salinity as low as 5 ‰ !! In the salinity battle, brittle stars are tough, little bastards. Here's one species, Ophiomaza chaotica a strikingly black and white species which famously lives on feather stars! A short write up on it at Wild Singapore here. 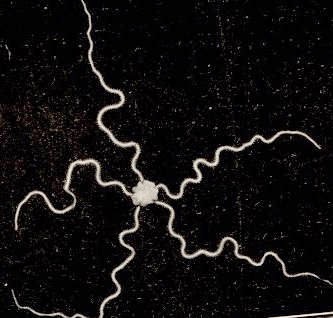 There ARE some accounts of brittle stars living symbiotically on other brittle stars but for various reasons, those are the subject of a future post!